State Forest State Park is one of the larger and more rugged of Colorado's State Parks. It is situated in the northern Front Range straddling Cameron Pass about 60 miles west of Fort Collins. 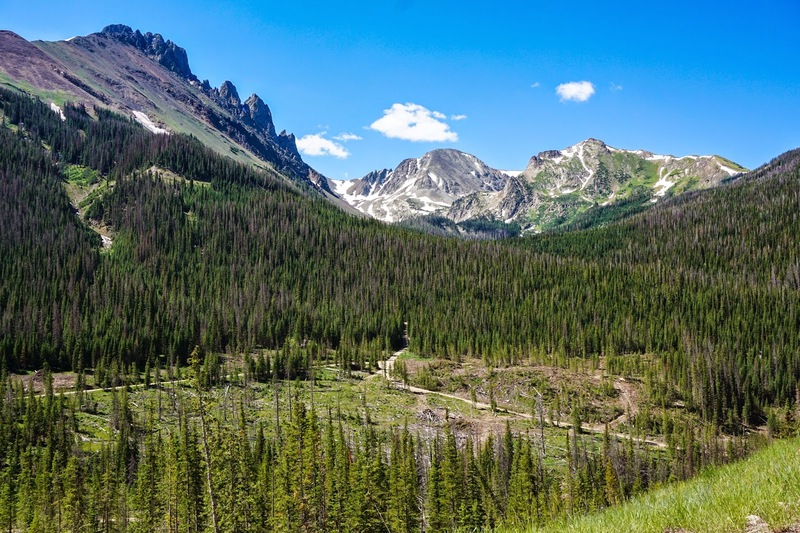 The park has the highest peaks in the state park system and borders on Rocky Mountain National Park, Roosevelt National Forest, and the Rawah Wilderness Area. The park is known for having some of the largest concentrations of Moose in Colorado so watch out for these awesome, but dangerous, animals.